Our current work in Alberta focuses on understanding how agricultural land use intensity affects the structure and function of impacted streams. This research occurs in close collaboration with scientists from Alberta Agriculture and Forestry, and is being undertaken across each of the three Albertan ecoregions that are affected by agricultural land use. Our work is examining changes in community composition, nutrient limitation, and functional response (via measurements of metabolism and nutrient uptake), and looking for thresholds of response to indicate critical changes in ecosystem function with increasing nutrient loading. 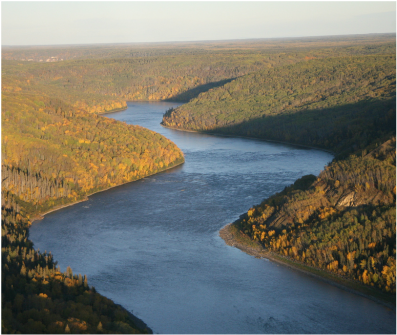 Future work in Alberta will explore the changing biogeochemistry of streams draining the glaciated Rocky Mountains, and examine how glacial melt and changing hydrology are affecting carbon and nutrient cycles from headwaters to large river systems.